You are currently browsing the category archive for the ‘General Federation of Women's Clubs’ category. Fun Stuff about K Spirito – Chapter 17 – Subtitle: Holiday get-togethers have begun! This time of year we have a big push to have many small get-togethers, so we can share gifts with all our dear friends and loved ones who we may not see on Christmas day. Last night began the mini Christmas parties with our dear friends Carol and Don, and our three year old Godchild, Beth Alice. We shared wonderful conversation, taking away from all the unpleasant things we each experienced during the day (I won’t get into each of our woes). 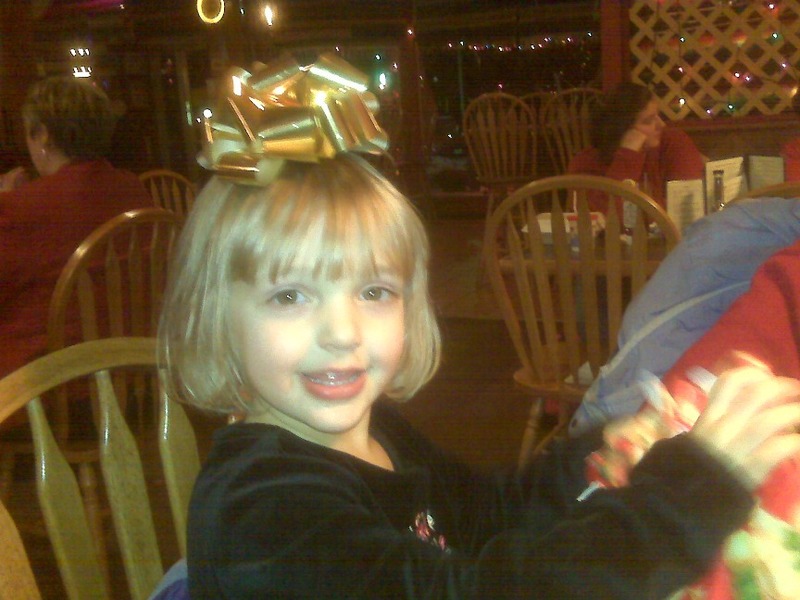 We then all enjoyed a fine Mexican cuisine at Amigos Mexican Cantina, just off the circle in Milford, NH. (Only rivaled by their new location in Merrimack, NH. After which we exchanged our Christmas gifts, and opened them, since we would not be together on Christmas. It was truly a wonderful evening with a small group (three) of friends and loved ones. And has set the bar for many more similar evenings ove the next two weeks. I hope all your holiday happenings are as fine as ours started. My wish to each and every one of you is that you find the inner happiness you seek and share it with as many people as you can for the rest of this year. 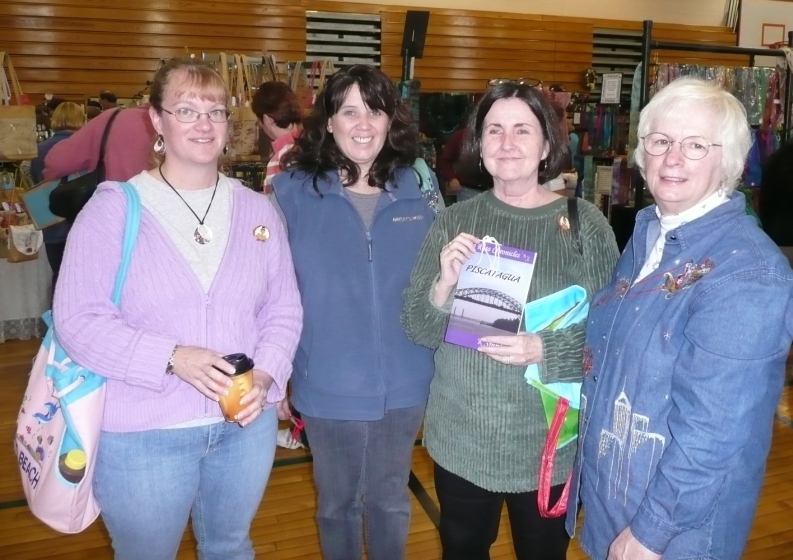 Yesterday, Saturday, November 21, 2009 we were signing books at the Co-operative Middle School, Stratham, NH. This was the third consecutive year for us at this venue. I don’t know how many people attended this event, but I know Sal and I spoke with over 300 people during the day; at least that’s how many bookmarks we handed out. 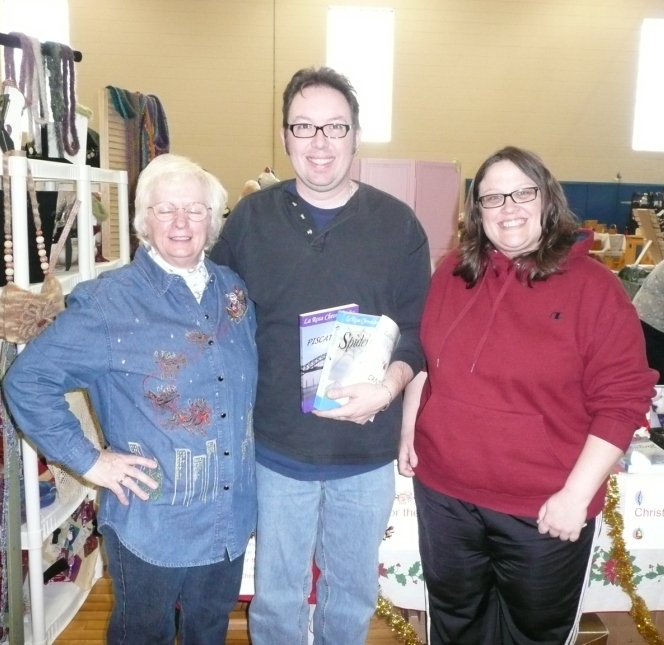 We sold a record number of books at this event! Our thanks to Katie and all those from the Exeter Area GFWC for running this event. There is no way I can name all who purchased books at this event, but I will post a few pictures below and mention a few names. Carol, Marny, Deb, Lucas, Carla and Cathy from Stratham; Denise, Marita, Cece and Sandra (with the incredible Scottish sweater) from Exeter, Pauline from Rochester and Cheryl and Carlene from Kensington; Sally from Manchester; Jocelyn and Patricia from Portsmouth; Sharon from Newmarket; Candace from Epping. Sincere thanks to all of you and the many more for your support. My number one returning reader and fan of the day goes without doubt to Karl from Warwick, RI. Karl read three of my books in the last year and purchased three others at this event. Sales are important, but Karl’s words were worth more than all the sales of the day! Nothing means more than to hear from an enthusiastic reader. Karl you made my day!!! Thank you so much. 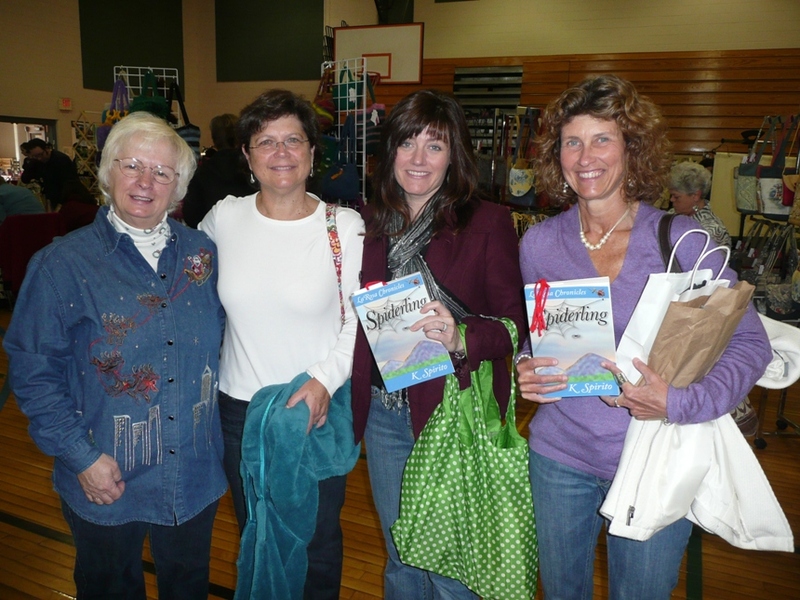 From 9:00am to 3:00pm today I will be signing books at the 32nd Annual Yuletide Fair, at the Stratham, NH Co-operative Middle School; sponsored by the Exeter Area GFWC. This organization does a lot of good for the Exeter area, please come out and shop until you drop! 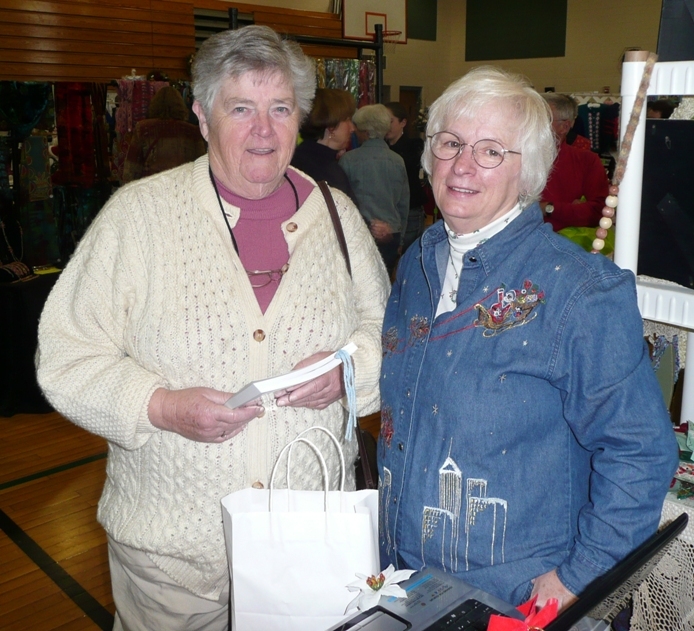 This coming Saturday, November 21, 2009 I will be signing books at the 32nd Annual Yuletide Fair, at the Stratham, NH Co-operative Middle School. This will be the third consecutive year we have participated in this event. It is one of the biggest Annual Fair we have ever seen. This event is sponsored by the Exeter Area GFWC, which is part of the national General Federation of Women’s Clubs. They are one of the world’s largest and oldest women’s volunteer community service organizations with approximately 4,500 clubs in 50 state federations, plus Puerto Rico. Founded in 1890, GFWC is headquartered in Washington, D.C. The Exeter Area GFWC does much for the community and we are proud to participate at this event. We sincerely hope that Saturday you can come over and see the incredible selection of gift ideas available under one roof.